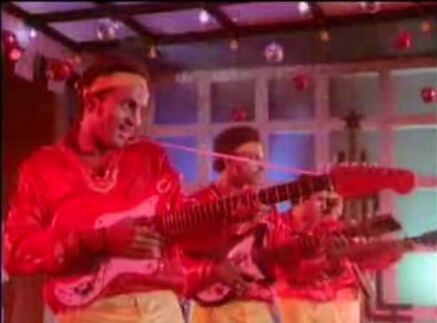 5 seconds into a Mithun-da song: The guitarists wield their instruments like phallic objects. 13 seconds in: Prabhuji touches down. 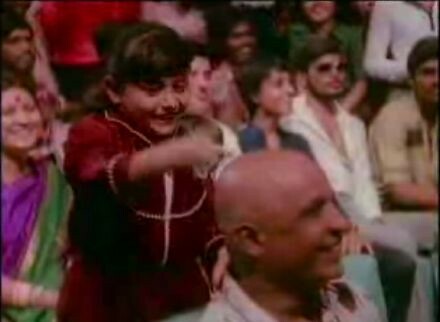 35 seconds in: Angelic little girl gets up and starts playing the drums on the bald old man sitting in front of her. The tempo is rising. 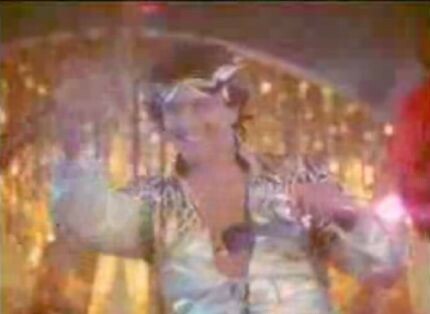 1 minute 30 seconds in: Mithun-da is belting out “I am a Disco Dancer” sending the audience into paroxysms of pleasure. 2 minutes 50 seconds in: Mithun-da starts sucking his thumb. 3 minutes 15 seconds in: Curvaceous backup dancers start tugging on their braids. 3 minutes 48 seconds in: Poojarin wearing chemical lab goggles understands why Prabhuji is sucking thumb. She responds. 4 minutes 28 seconds in: Prabhuji asks a Poojarin to join with him. This is waay before Bruce Springsteen set a trend by calling Courtney Cox onstage from the crowd for “Dancing in the Dark”. 4 minutes 31 seconds in: Nisha feels the call of the wild in her blood. She rushes towards Prabhuji on the stage, leaving her honour, husband and sanity behind. 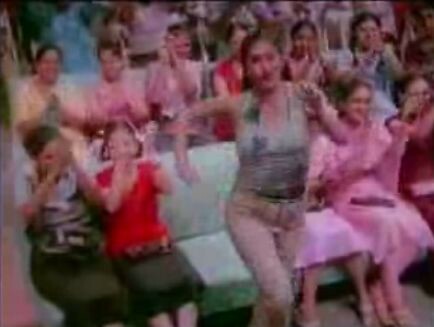 4 minutes 48 seconds in: Nisha has surrendered herself totally to Prabhuji. With a whirling motion of her hand, she conveys that she is ready. 6 minutes 22 seconds in: Prabhuji has become a blur of action. Tandav on celluloid if there has ever been one. 1 hour after the song: Away from the public eye, a poojarin balances a chalice on her forehead. 1 hour 10 minutes after the song: Prabhuji drinks from the chalice balanced on her forehead. An ancient mating ritual begins. 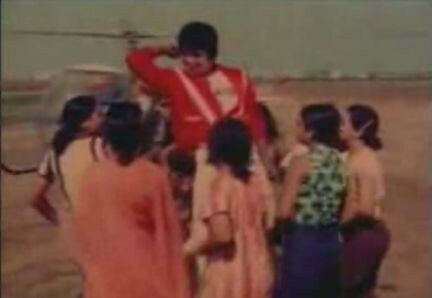 Morning after song: Prabhuji is dancing in front of helicopter surrounded by crazed poojarins who want simply a piece of him. And they do not mind having it all together. This was 25 years ago. Much has changed since then. The Internet. VP Singh. Mallika Sherawat. A new age has brought in its wake new icons and new Gods. But still some things remain the same. 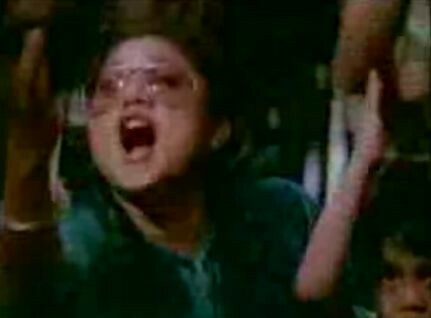 2 seconds into song: Girl goes bazookas. Years ago, it was her mother (reference third picture from top).Now it’s her. 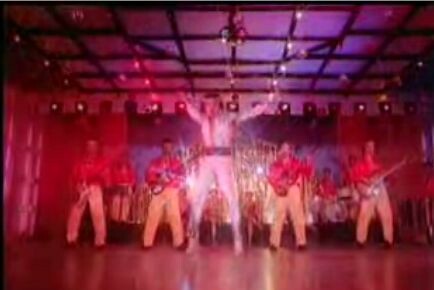 1 minute into song: Mithun-da is still at it, sending subliminal messages to the audience. 2 hours after song: Need I say more? Seriously, kindly let me know do you have a google alert on Mithun? What is the technicality involved in digging out these gems, o great one? This is funny!! LMAO!! Keep it coming. Ever present to quench our insaitable appetite for mithunism.. 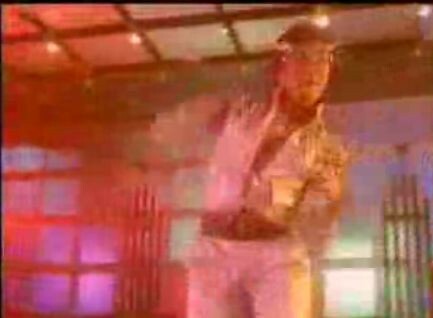 Awesome, i have seen the disco dance song so many times(partly thanks to you ;-)), but i missed the thumb sucking scene. which movie is the second song? Can you post it? and i had a female acquaintance whose only goal in life was to marry prabhu ji!!! ever watch him dancing in all white with a loooooooooooooooooooooooonnnnnnnnnng red and white striped “mufler” that would go till his knees? Wow..spectacular!! Just came back home after a bad day in office and this post got me all smiling..thanks to you and Prabhuji!! 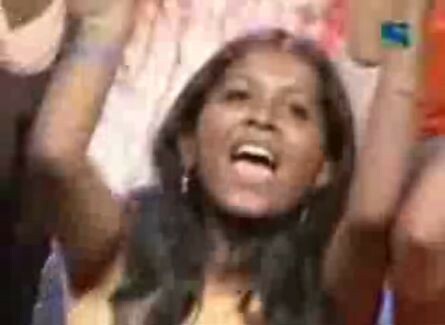 One point to be noted, in the original song, when that girl shreiks in a passionate way. I guess they just freezed that shot for a few seconds. How do you explain this? Do you, by any means, have a vault stowed away in a desolated part of siberia, in which you have videos of grandmaster G9, Mr. Prime minister and other classics, preserved and untouched by time (ala Madam Rekha)? You are like Houdini, producing these excellent videos out of thin air. best post from you after long hiatus…. still laughing like nuts after seeing the god grinding his belly…. may be shakira can take some tips from the almighty him self… koi shaq ??? Now this is what is GB at his very best….made my day!!! 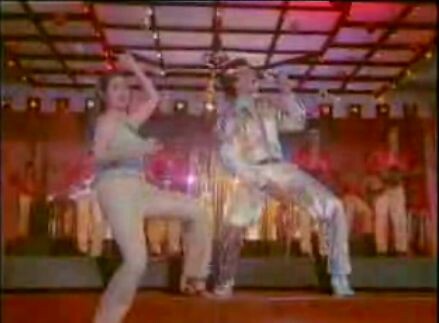 just checked out the “boogie woogie” featuring Prabhuji – do not want to insult him by using mere words to describe the feeling. check out the comments below the video…. “Suraksha…suraksha……” – need I say more…? We bow to thee, O Prabhuji!!!!!!!!!! Mithunism is my religion and Greatbong the high priest. Lookin forward to ur review on Guru and Mithunda’s performance in that. From what I could gather, it was very good.. I have had multiple orgasms !!! Awesome. When it comes to weavng a story with pictures, you are unparalleled (not that you are any less skillful with words). How do you manage to unearth these treasures? Have you designed a AI-based Crawler on Youtube that gives out these gems? BTW, food for thought. Would love a similar ‘story’ based on Aishwarya. I can imagine her stupid expressions pasted in all glory. You are amazing at weaving stories,try your hands at directing a movie with “prabhji”.will definately win a oscar. had gone to a ‘high society’ wedding last year. the bride’s brother and his friends danced on ‘i am a disco dancer’… and i swear to god everyone went crazy! that song is magic. btw, have u watched Guru. I don’t think any other actor could have done Mithun’s role to such perfection! seriously. you have to see it to believe it. u’ll fall in love with him all over again. GB, Bondhu Fantastic!!!! I am just speechless. 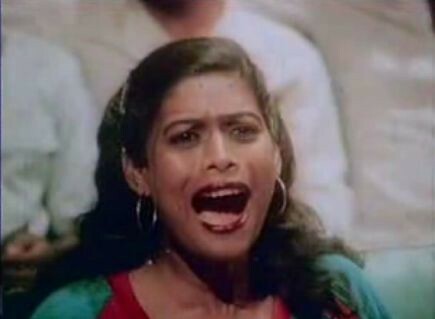 The first poojarin scream appears to be totally inspired from Michael Jackson’s Thriller. Btw, the most aparampaar leela of prabhuji is his son Mimoh – named as a combination of MIchael jackson and MOHammed ali! Man,where do you find the time and patience to dig out these?simply amazing. Just Hilarious!! Keep the research on! Thanks for injecting humour in my daily routine. 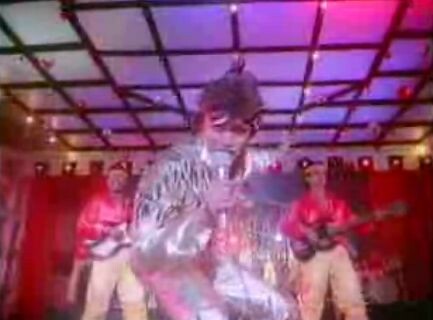 The fan video of Disco Dancer was priceless ! Guy put a whole lot of love and effort into it. Been following your blog for quite a while now…and there’s never once i’ve been dissapointed…keep ’em coming!! GB, ha ha this is Hilarious!! Man how do you do these? Awesome!!! Are you by chance mithunda in disguise? Or his publicity manager? Or are you doing a doctorate in Mithunomics? @All: Prabhuji comes to me in my dreams, whispering words of wisdom saying “Dont let it be”. He tells me about His glories scattered all over the world and all over the Net and I, humble devotee, start my online “tirthayatra”. @Raj: I deliberated whether to raise this point on such a fun thread. But I decided I will. So Mr. Raj? Mithun-da is Bengali also. So is this post also “parochial”? Well I suppose not. You liked it. 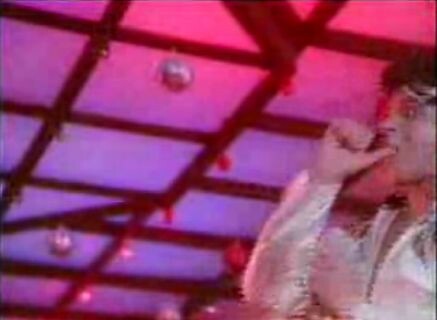 You can say that Mithun-da is an all-India figure and not defined by his Bengali identity. Well neither are the great names I mentioned. They fought for the whole country and not Bengal. Yet talking about them is parochialism and talking about Mithun-da is not.Why? I know the answer. As long as I am making fun of a person who is Bengali, I am great. If I am not and defending persons born in Bengal from an attack on their competence (done ironically by another Bong), then I am parochial ! I liked the post,very much. But liked your answer to Raj even better. In any event, Mithun was my favorite *star* growing up and boy I had to endure a gazillion taunts from just about everyone because he made such C-list choices. But that’s what made him such a pleasure! 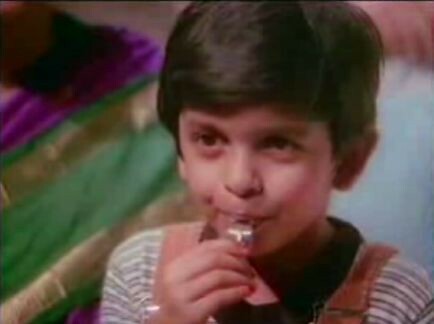 I still can’t get over the first 15 minutes of Suraksha and those special effects with lovely toy cars and wooden models. You are making fun of Muthunda !! I am outraged, now as a self appointed guardians of N R J (Non resident jaunpurias) I demand immediated retraction and grovelling failing which you will be made to sit in the same room as intellectual luminaries like Mr Raj. Repent ye sinner! or you will be be stoned like you never have been. 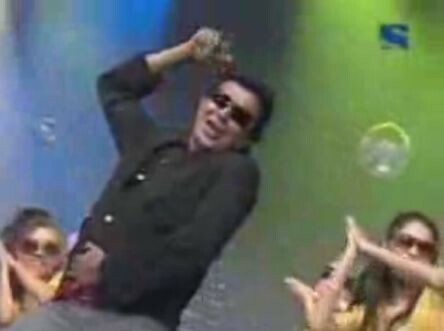 He fights like michael and dances like ali :-)? Fine. I will retract my parochial statement,fully believing that you would have written an equally passionate post if some chap in some newspaper had made remarks about revolutionaries from other states as well. Let it rest at that, will ya? However, the fact that you raised the issue in such a fun post makes one fact very clear(something that some other readers of yours mention as well in other posts) – you cannot take even one word spoken against you. And this is a statement I am not going to retract. The fact that I allow comments made against me to stay on my blog (like yours) and the significance of keeping comments “on” and unmoderated (which is something you wont find in quite a few big blogs) are things that are, predictably, lost on you. It’s indeed ironic—-while you are free to say whatever you want against me, if I retort (with logic) I am “sensitive to criticism” while you remain lily-white in your intentions. And to your assertion: “You would have written an equally passionate post if some chap in some newspaper had made remarks about revolutionaries from other states as well”..the thing is unlike you I do not see revolutionaries on the basis of their home-state. Okay. You are right.I am sorry. Tumi’e paro! Cant giggle loud as am in the office, ..but am sending this link to my Mithun Poojaran Pishimoni, who I had mentined earlier to your Mimo article. I nearly laughed my entrails out! Superb!! Whoops! Gunda: Tera naam Kya hai bey??? Prabhu Ji: Heyiiii….Jis bhagwaan ke gale me naag hai Wahi mera naam hai …. Boss: Mere saap ka kata hua aaj tak nahi bacha..